Sword swallowing, along with fire eating, fire walking, beds of nails, and snake charming is an ancient art having its origins in India about thousands of years ago. Developed by priests, known as fakirs or sadhus, the art was used to demonstrate the fakir’s connection with the gods. Ironically, Native American (American Indian) Shamen independently developed a type of sword swallowing, although they did not have swords. 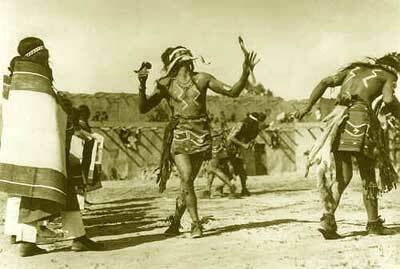 Instead the Native American shaman swallowed either a long stick or an arrow, to prove their strength and endurance. This practice was also often associated with venomous snake handling and other ascetic religious practices. Sword Swallowing is extremely dangerous and should not be attempted by amateurs or thrill seekers. Safely swallowing a sword comprises both great physical and mental control. The first obstacle in acquiring this ability is to overcoming the gag reflex. This can be achieved over time by accustoming the pharynx to touch. 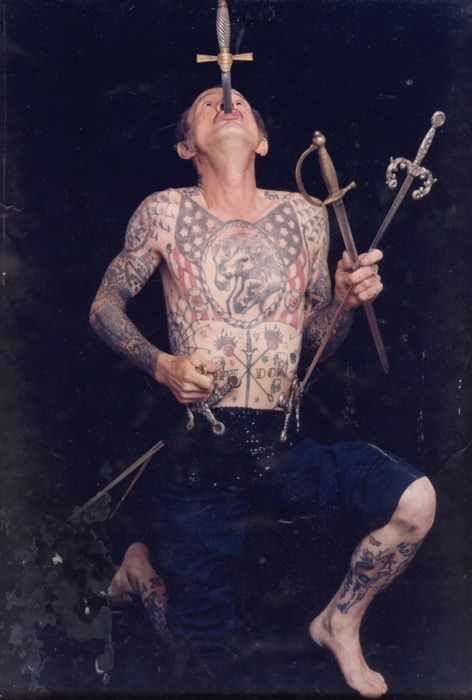 The art of sword swallowing can take many years to learn and even more to truly master. From India, sword swallowing spread west to Greece and then to Rome and east to China and then to Japan. Like magic, drama, and music, all of which have their origins in religious practices, sword swallowing became a form of entertainment. During the time of the Roman Empire, sword swallowers entertained at festivals. Sword swallowing became popular in early Japan as part of an acrobatic form of theater known as “Sangaku”. 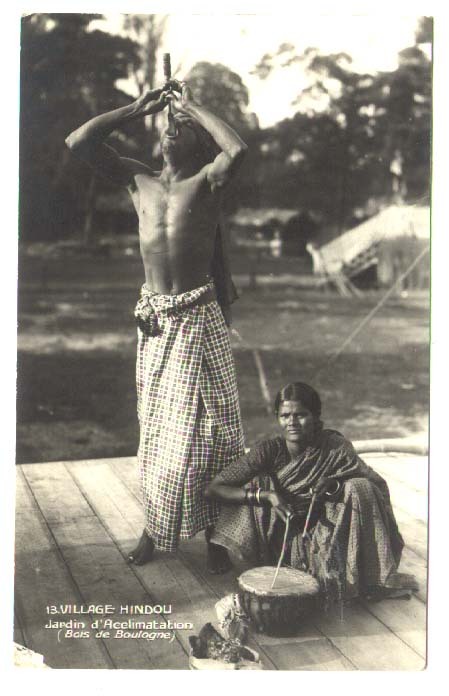 Sangaku also featured tightrope walking, juggling, and other acrobatic skills. Later as sword swallowing spread across Europe, it was usually practiced mainly by traveling street performers who would perform in public squares and at festivals. 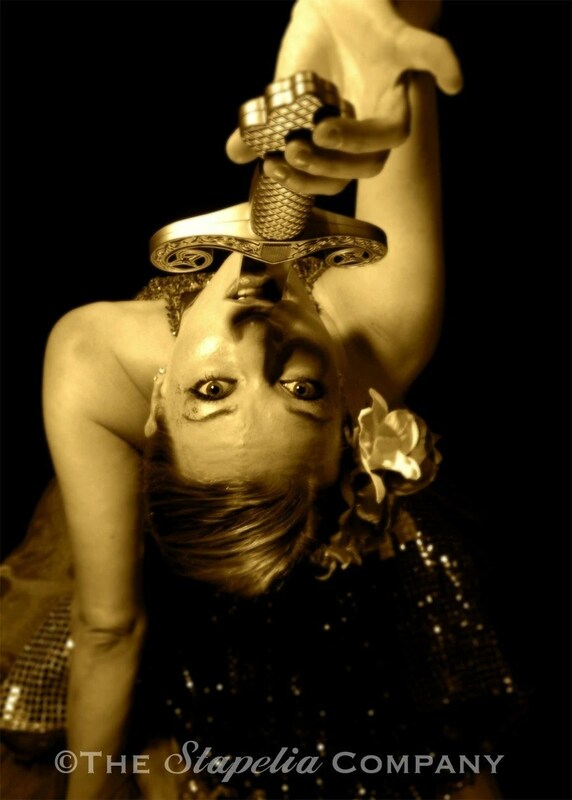 In the late 1800’s and early 1900’s, sword swallowing found a welcomed spot in the sideshows of circuses and carnivals. During this time when the circus was the most popular form of entertainment in America, sword swallowers flourished and for many years their numbers increased. Since the 1950’s with the cost efficiency and popularity of mechanical rides at carnivals and the advent of the television, and now the internet, the golden age of the circus is gone. With the demise of the American Circus industry, the numbers of sword swallowers dwindled. Today there are perhaps fifty sword swallowers in the world. 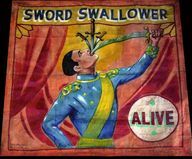 However, with the current revival of sideshow performances sword swallowing may also be making a comeback. This entry was posted in Uncategorized and tagged ancient arts, ascetic religious practices, circus acts, circus performers, circus sideshow, fakir, golden age of the circus, history of sword swallowing, indian, indian sword swallower, Native American, sadhus, Sangaku, shaman, sideshow, snake charming, street performers, sword swallower, sword swallowing. Bookmark the permalink.